House Oversight and Government Reform Committee Chairman Darrell Issa is launching an investigation into the U.S. Patent and Trademark Office after reports surfaced indicating employees routinely do "little to no work" by abusing the agency's generous telework policies. In a letter to Commerce Secretary Penny Pritzker sent Tuesday, Issa asked the Patent Office to respond to a series of accountability questions following an explosive Washington Post article that "describes numerous instances of misconduct and apparent efforts by officials to conceal wrongdoing." "The waste, fraud, abuse, and mismanagement described by The Post is unacceptable, " Issa wrote. Echoing a familiar complaint lobbed against the agency, the California Republican further condemned the agency's alleged abuses for coming at a time when the office has a "backlog of patent applications of over 600,000, and an approximate wait time of more than five years." "Despite patent examiners generally receiving a salary at the top of the federal pay scale—some making $148,000 a year—it appears the telework program is not serving its intended purpose to produce more efficiency," he wrote. Earlier this month, The Post reported on the findings of a full internal report conducted by the Patent Office that painted a much more damning picture than an edited version provided to an outside watchdog. Among the internal inquiry's findings, some 8,300 patent examiners, roughly half of whom work from home full time, "repeatedly lied about the hours they were putting in, and many were receiving bonuses for work they didn't do," according to The Post. The internal investigation wrapped up last summer, but the version of the report sent to Commerce Department Inspector General Todd Zinser concluded it was difficult to ascertain whether whistle-blower claims of systemic abuses were valid. Alternatively, the unscrubbed report, kept secret until The Post report, is far more definitive in its findings of an unchecked culture of fraud and abuse. 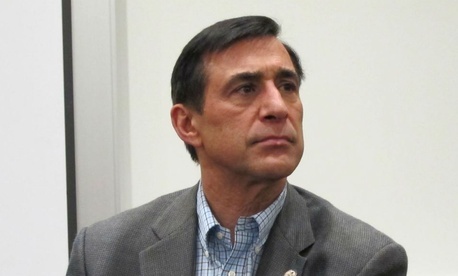 In his letter, Issa compared the reported wrongdoing to a 2012 scandal involving the General Services Administration, which held a conference in Las Vegas that included wasteful expenses on things such as the hiring of a clown and a $75,000 team-building exercise. Reports of patent examiners being paid while surfing the Internet and doing laundry at home "because managers gave limited assignments ... calls into question the business model of the patent office," Issa wrote. Issa requested the agency hand over "all documents and communications, including emails" relevant to reported abuses by Sept. 2.